Every so often, select bloggers are chosen to feature the Rakuten Bloomingdale's Bonus Box. I was one of the select few and these boxes are absolutely amazing. They highlight beauty items sold at Bloomingdale's and cover everything from skincare to makeup to fragrance. This season's box has some items and brands I've never heard of so it's really exciting! Let's take a look. Kiehl's Shampoo + Conditioner and Hydrating Mask | As someone who's tried few, if any, products from Kiehl's, I was really excited to see them featured in this box. The shampoo + conditioner is actually from their men's line and can be used on hair and facial hair. It's an all-in-one product with a woodsy blend of cedarwood, sandalwood and eucalyptus oils. The hydration mask is a soothing blend of calendula and aloe which cools and moisturizes skin. Wei Facial Masks | Each bonus box included two masks from Wei - Stress-Relieving and Illuminating. These one-use masks come in a "test tube" style bottle which I thought was really clever. The Stress-Relieving mask contains mung bean sprout as an antioxidant, chinese licorice root to heal, and cucumber to soothe. The Illuminating mask contains rice embryo for moisture retention, chinese licorice for clarity and vitamin C to illuminate. Clinique Fresh Pressed 7 Day System | This sample pack contains 7 single use powder cleansers and a daily booster vial with 10% vitamin C that can be combined with your daily moisturizer. Just add water to the powder cleanser and cleanse skin in the morning. Follow-up with 2 drops of the daily booster combined with your usual moisturizer. The daily booster can be used both morning and night. This unique system keeps the product its freshest with single use packets so you get maximum results! 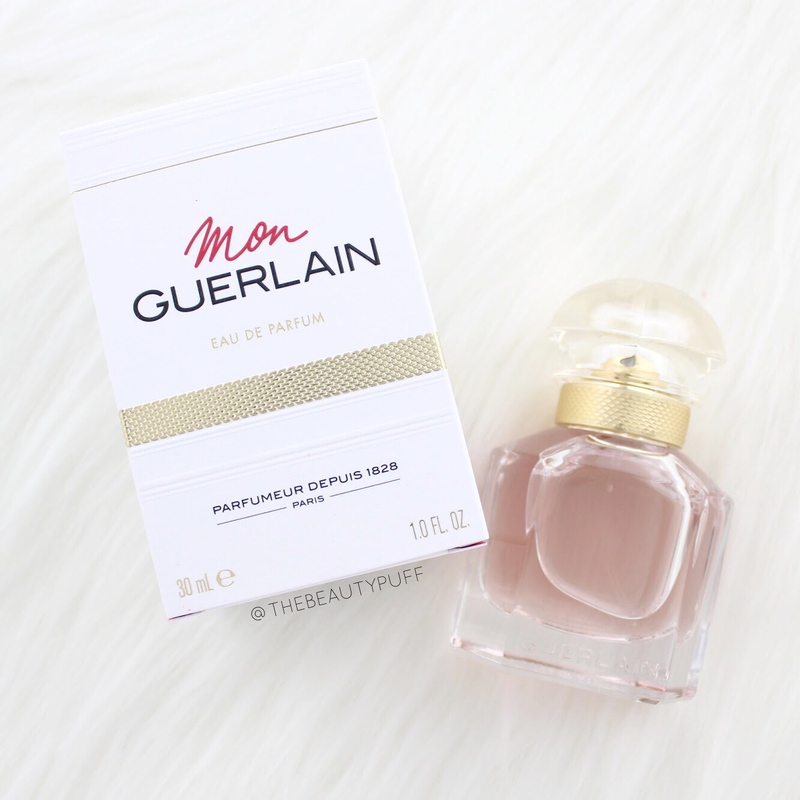 Mon Guerlain | With notes like lavender, jasmine and vanilla, this is the perfect scent for fall! It's warm, subtly sweet and feminine. I love the style of the bottle too. It's classic with a unique woven pattern in gold near the cap. It makes a beautiful addition to any vanity. Sisley Phyto-Eye Twist in Topaze | This eye crayon can be used as an eyeshadow or liner. I love the Topaze color because it's the perfect neutral any time of year. The formula is suitable even for sensitive eyes as it combines ingredients such as green tea, white lily and camellia. These eye crayons come in 12 gorgeous shades. PMD Classic | This personal microderm comes with different exfoliating discs to suit your skin and give customized results. With each use, dead skin cells are removed and you're left with silky smooth skin ready for your skincare regimen. With regular use, blemishes are cleared, fine lines are minimized and skin tones improves. Replacement discs can be purchased ranging from sensitive to very coarse. Viktor & Rolf Bonbon | This scent is inspired by the warmer months with bright notes such as grapefruit, orange blossom, peach and jasmine. I love the combination, personally. It's uplifting and feminine without being too heavy. Although this was created with spring and summer in mind, I would absolutely wear this all year round! The bottle has to be one of my absolute favorites. It's a frosted pink bottle shaped like a bow, how cute is that?? Trish McEvoy Makeup Remover | When the day is done and makeup needs to be removed, cleansing waters are amazing! This particular cleansing water is suitable even for sensitive skin and removes long-wearing makeup. So whether you've packed on the waterproof mascara or love a 12-hour foundation, this is a great go-to. I love that this formula is oil free and leaves skin feeling cleansed but not stripped of moisture. You can find all of these amazing items below on the Bloomingdale's website!